January 12, 2018. Helen Mirren and Donald Sutherland are interviewed at the New York premiere of "The Leisure Seeker" to promote its theatrical release. September 09, 2017. Live report and commentary from the 42nd Toronto Film Festival's premiere of "The Leisure Seeker", featuring interviews with Donald Sutherland and Helen Mirren. July 22, 2013. Compilation of news reports covering the London premiere of "R.E.D. 2", including interviews with Helen Mirren. July 16, 2013. Compilation of news reports covering the New York screening of "R.E.D. 2", including interviews with Helen Mirren. July 11, 2013. 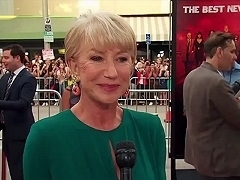 Compilation of news reports covering the Los Angeles premiere of "R.E.D. 2", including interviews with Helen Mirren. December 09, 2012. 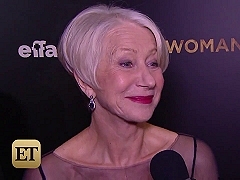 Compilation of press interviews with Helen Mirren and Anthony Hopkins during the New York premiere of Hitchcock. November 18, 2012. Compilation of press interviews with the cast and crew during the New York premiere of Hitchcock. September 14, 2010. Compilation of cast and crew interviews during the Toronto Film Festival premiere of The Debt. December 06, 2010. 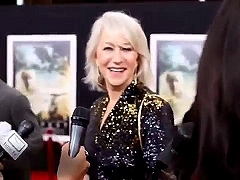 Compilation of cast and crew interviews during the Los Angeles premiere of The Tempest. October 02, 2010. Interviews with the cast and crew of The Tempest during the New York Film Festival's premiere. February 01, 2011. 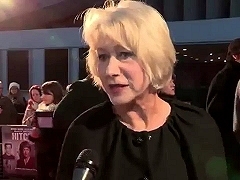 Helen Mirren is interviewed at the London premiere of Brighton Rock. April 05, 2011. 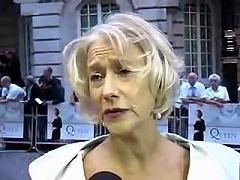 Helen Mirren and Russel Brand are interviewed at the New York premiere of Arthur. April 19, 2011. Russell Brand and Helen Mirren are interviewed at the London premiere of Arthur. October 19, 2010. Compilation of news reports covering the London premiere of "R.E.D. ", including interviews with Helen Mirren. October 3, 2010. Compilation of news reports covering the New York premiere of "R.E.D. ", including interviews with Helen Mirren. September 13, 2006. 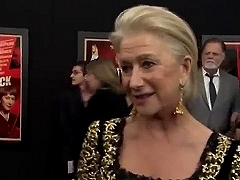 Helen Mirren attends the London premiere for The Queen. April 20, 2011. Report on the London premiere of Arthur, including interviews with Russel Brand and Helen Mirren. February 02, 2011. Report on the London premiere of Brighton Rock, including an interview with Helen Mirren. December 07, 2010. 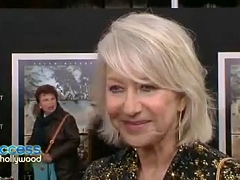 Report from the premiere of The Tempest, including an interview with Helen Mirren. December 05, 2010. 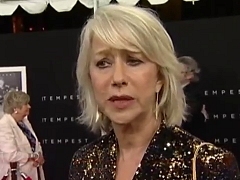 Report from the premiere of The Tempest, including an interview with Helen Mirren. September 15, 2010. Report from the world-premiere of The Debt at the Toronto Film Festival, including interviews with Sam Worthington and Helen Mirren.